What will you add to your collection this year? Wow, what a beautiful watch! Make sure you set it right though because 2016 is a leap year. Congrats, looks incredible. I have been patiently waiting for mine to arrive this month. congratulations and happy new year. Not sure what the new year will bring for me collection-wise. 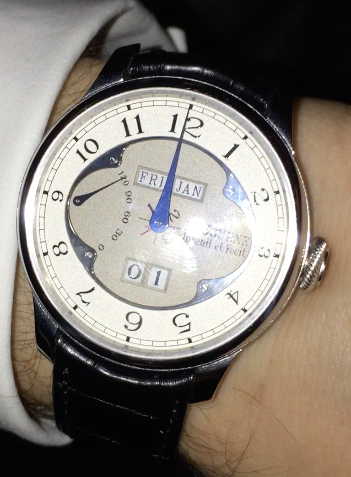 Brad, your wrist shot does not do justice to the Quantieme Perpetuel. It is gorgeous in person. Contratulations, and just in time! Next Topic: The new Octa Divine?